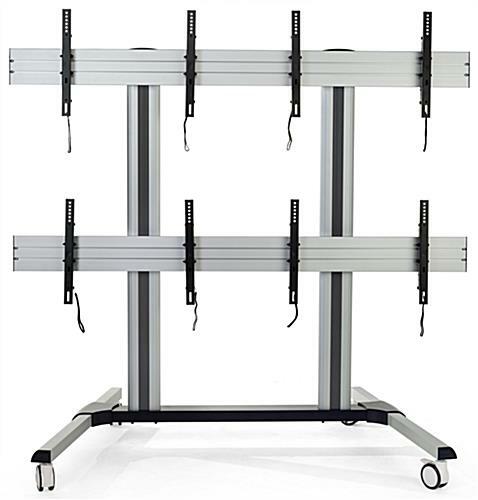 The mobile video wall includes 4” locking, shock-absorbing wheels that allow you to take your digital displays wherever you want. 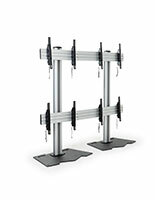 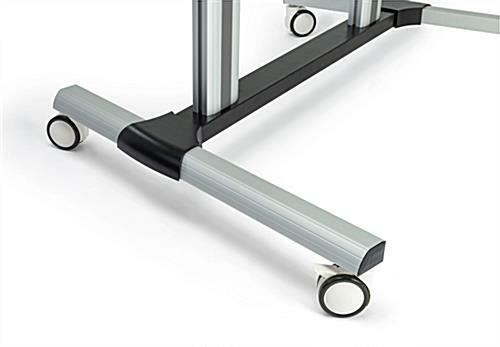 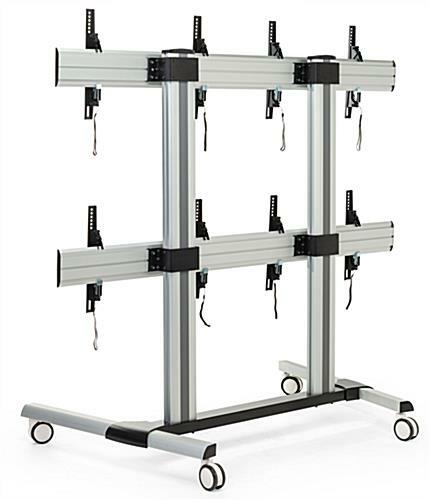 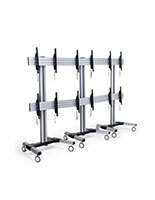 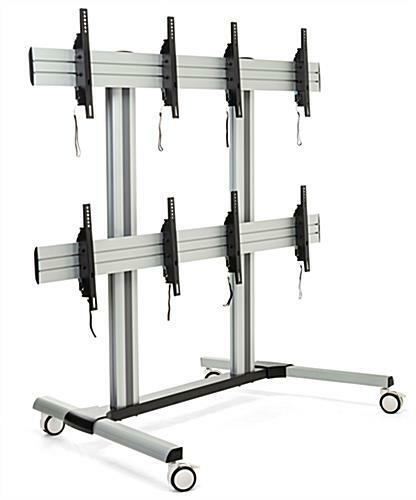 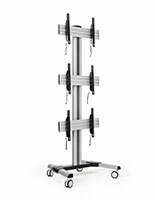 This fixture is capable of fitting (4) 45” - 55” monitors that illuminate and operate to create a productive and innovative way to illustrate information. 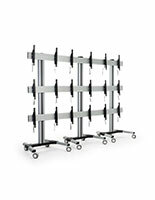 Our mobile video wall is able to support 60kgs/132lbs. 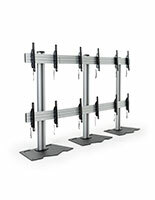 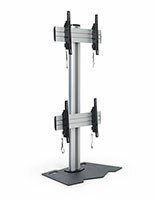 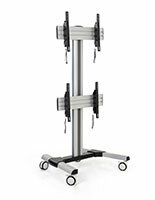 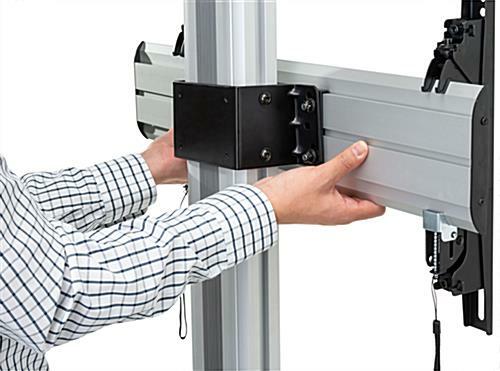 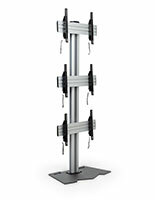 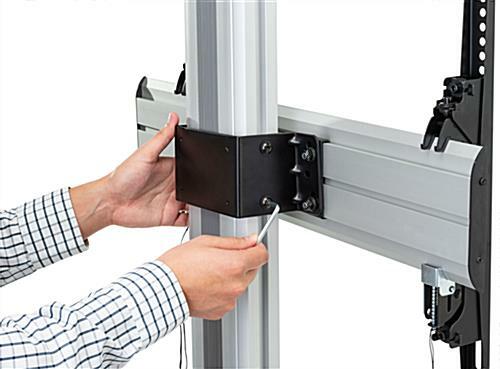 LED screens and secure clip-in, anti-theft brackets ensure that devices hang easily and safely. 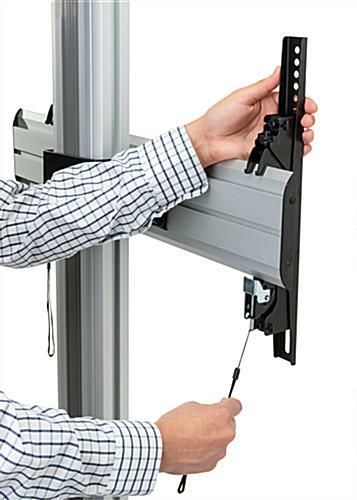 Micro lateral and height adjustability mounting allows the displays to shine perfectly. 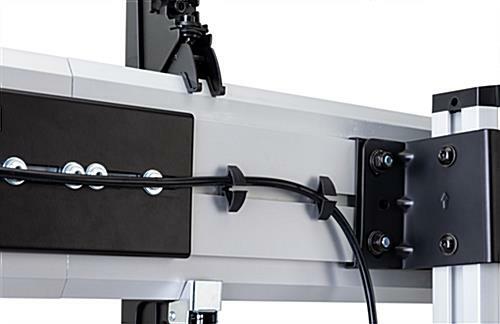 Compatible with VESA LED screens regulations, your monitors will be displayed clearly and catch the attention of anyone who comes across it. 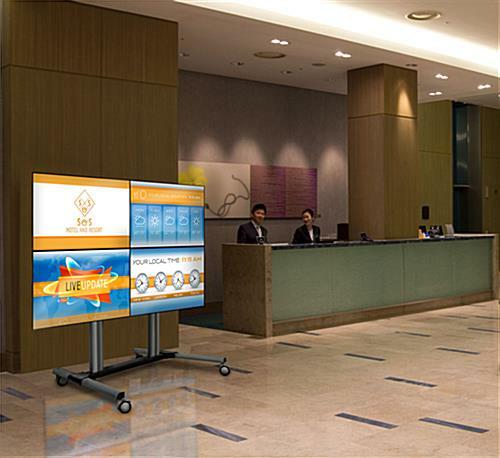 We’ve designed this mobile video wall to be the most productive and versatile way to display digital signage and important information.